28 cm tall (11 inches). 35 cm long (14 inches). 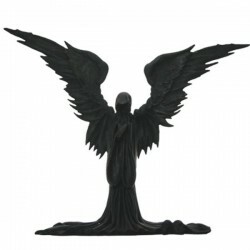 Dark reaper figurine with wings spread out. Excellent and large display piece for the gothic home.